The world has (finally) had its first glimpse of the next Star Wars spin-off, Solo: a Star Wars story after a teaser trailer dropped during the Super Bowl. Whilst the teaser doesn’t give much away in terms of what the story will actually be about, it does reveal some of the key characters in the film, and what appears to be a few key action sequences. Included are shots of characters including Woody Harrelson as Tobias Beckett and Emilia Clarke as Qi’Ra. There are also appearances from a few familiar characters, including Lando Calrissian (played by Donald Glover) and Chewbecca (Joonas Suotamo). The trailer also showcases Han Solo (played by Alden Ehrenreich). In a scene which shows only the back of his head, he loudly proclaims “I’m going to be a pilot. The best in the galaxy.” That’s our Han Solo! Of course, as with all teaser trailers there is a lot more revealed than it may seem at first glance. The 45 second clip reveals a new TIE fighter, a pod car and some Twi-Leks (a prominent alien species in the original films). We also glimpse a Star Destroyer in an eerie, cloudy environment. 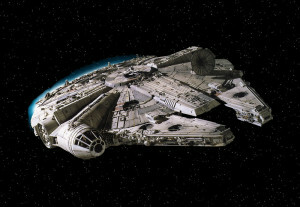 Then we see the Millennium Falcon, looking more pristine and regal than ever before. The trailer gives promising vibes, despite the film losing its directors shortly before its completion (due to alleged ‘creative differences’). Whilst aren’t given too many hints as to how the tale might unfold in this film, it is fair to anticipate an action-packed plot. Solo, much like all the Star Wars films Disney has created so far, is sure to be one for the fans. We certainly can’t wait to see more of Solo (and Chewie) on the big screen. Luckily, it won’t be much of a wait; Solo is due to drop in Aussie cinemas on May 24.